Finally, I am able to cope up with all my social media and of cause my blog here! If you have been following me around, I have just got married last Saturday. Thanks for those who coming and those who wishes me across my social media. Can't be thankful enough that everything settles down. 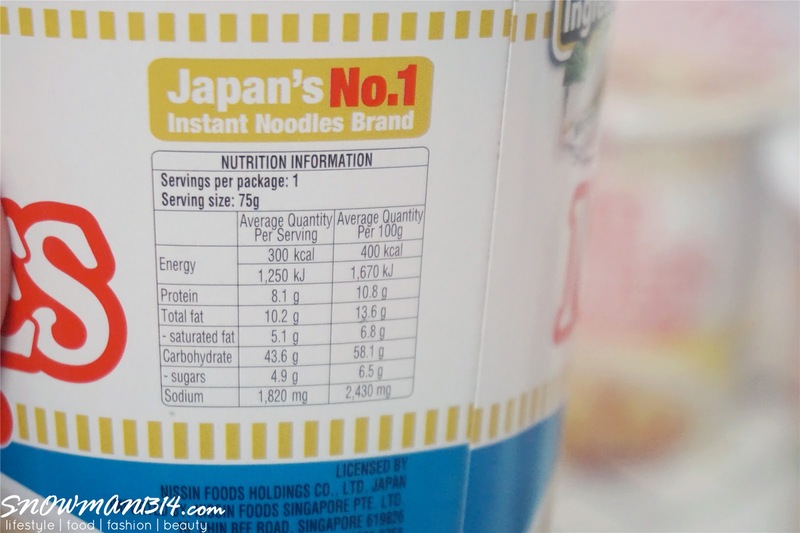 Back to today topic, I will share some good news with you guys about this Japan Number 1 Cup Noodles that is from Nissin. 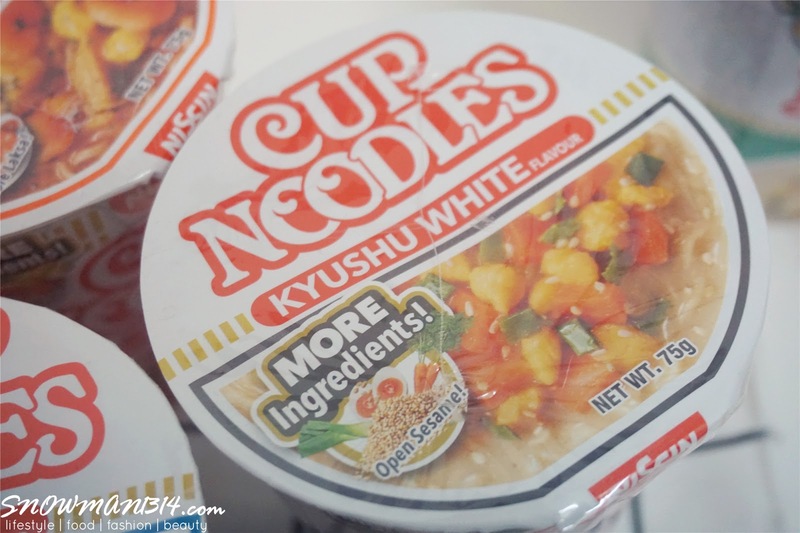 What's so special with their newly upgrade Cup Noodles? 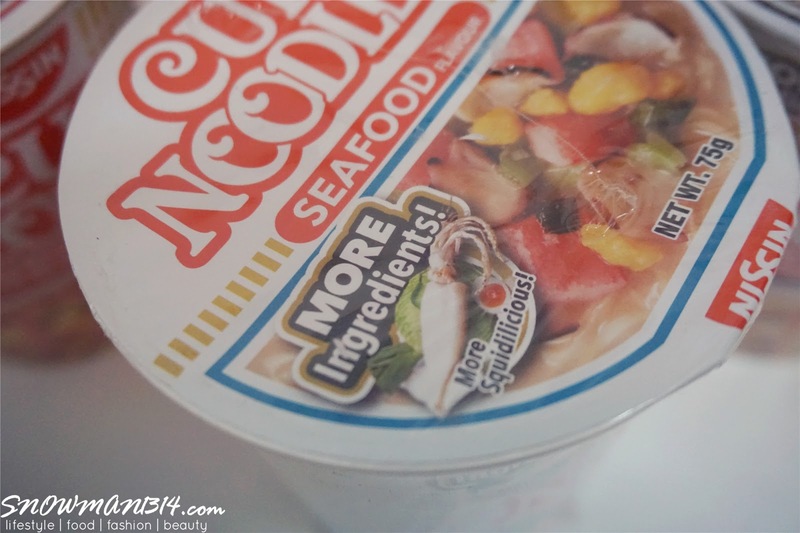 That is you can enjoy more ingredients in every of the cup noodles from Nissin! 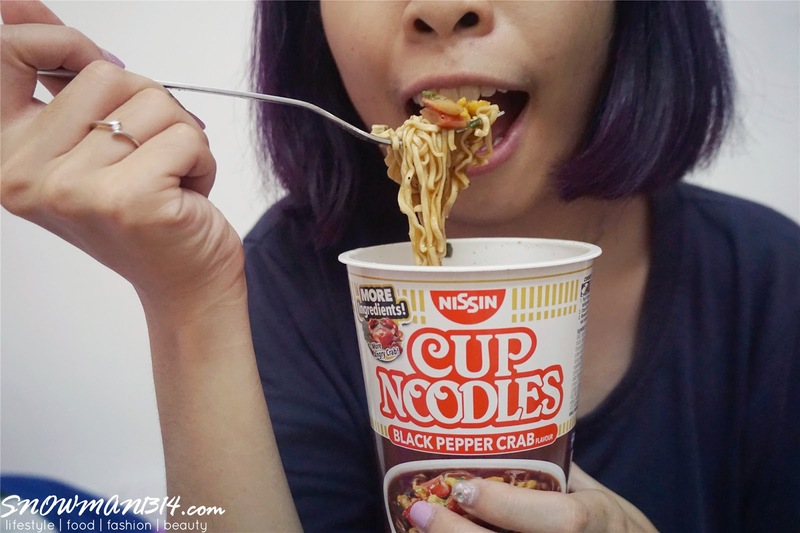 This is my first time trying on Nissin Cup Noodles. 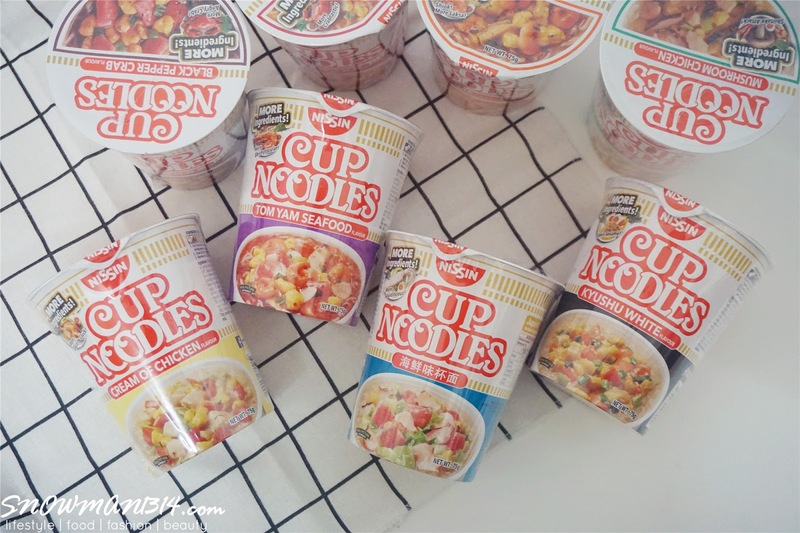 There are total 10 flavors with UPGRADED of More Ingredients Cup Noodles for you to choose. Guess which flavors that I choose to try? From the package itself, you will find there's MORE Ingredients logo for you check it out! 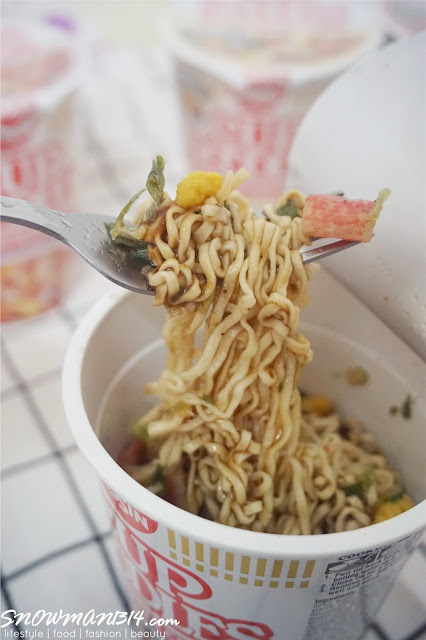 I love this small Nissin opening for this cup noodles. I pick the Seafood Flavor to eat. 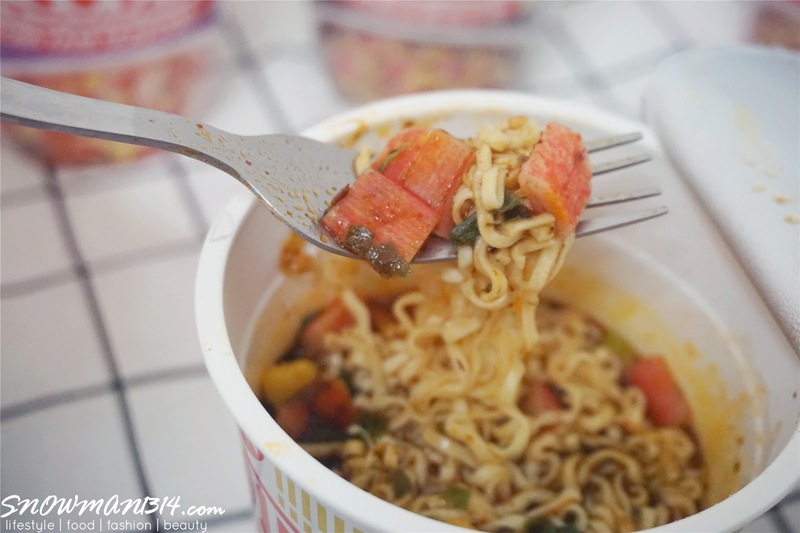 Hence you can see there are a lot of crab stick in the cup noodle. One thing I really like is that the powder are all inside where you do not have to open any powder packet!! Just pour hot water until the cup line waits for few minutes and you are good to enjoy! The noodles absorb the water pretty fast too! So in case, you feel that the water is not enough, you can always go and add. 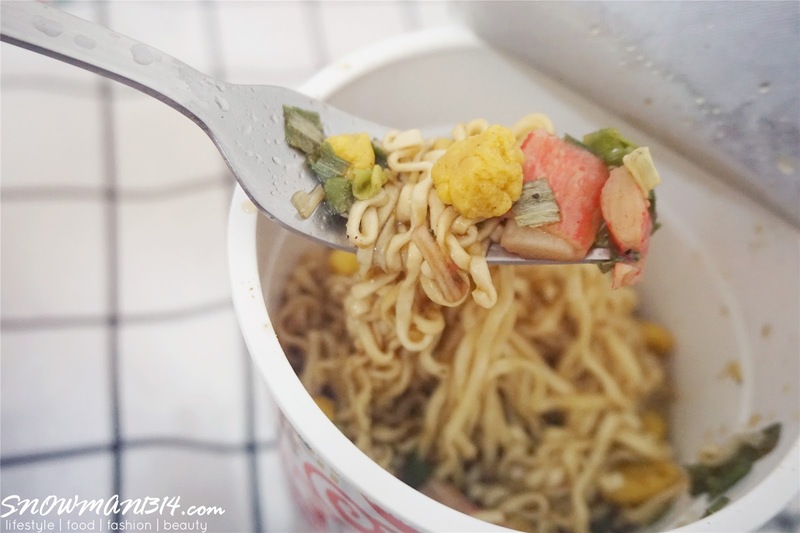 My husband and I love the texture of the noodle where it was really different than our any local cup noodles. 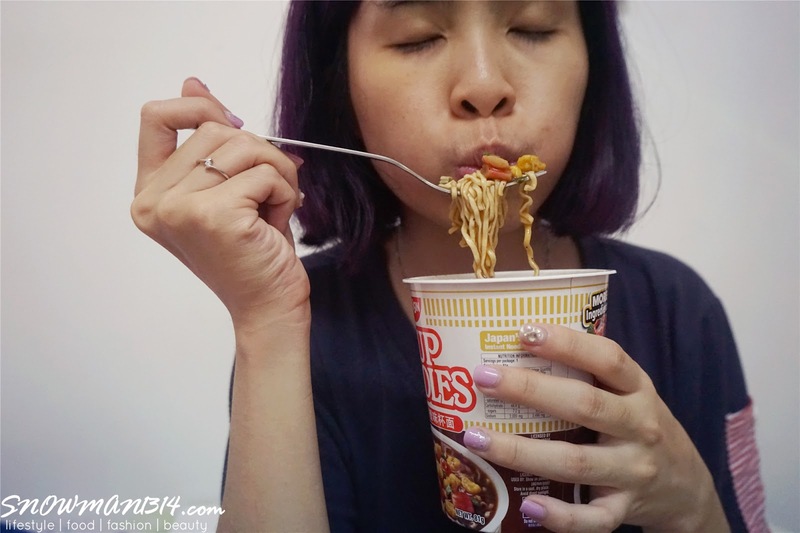 Where Nissin noodles are more thick and smoother to eat! Highly recommend!! After finish writing, this post I feel super hungry and can't wait to grab one to it! 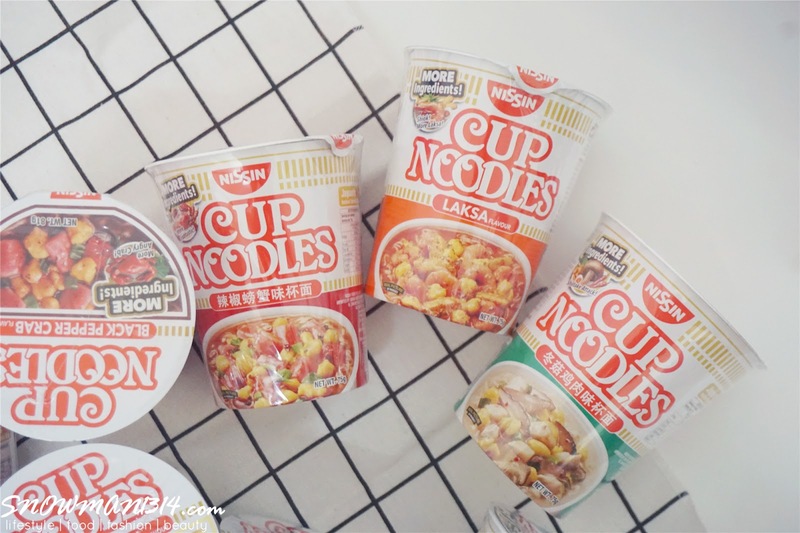 Don't forget that you can get these yummy Nissin Cup Noodles at AEON. 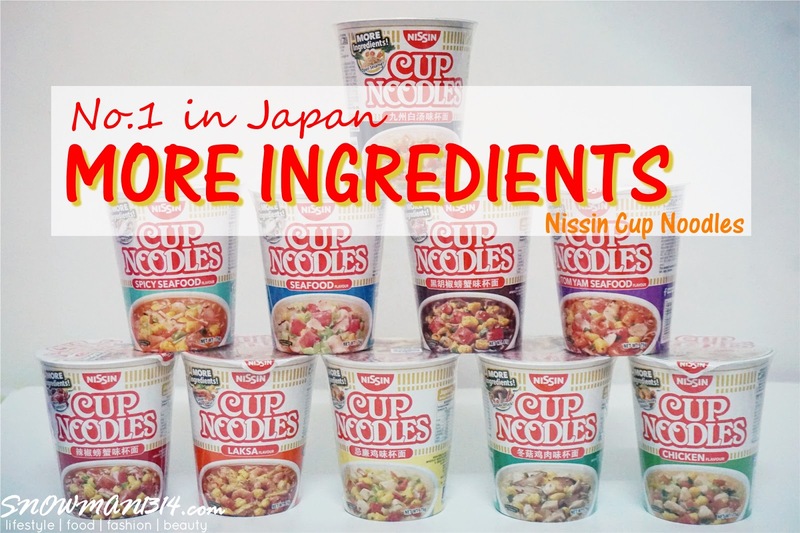 With the No.1 Cup Noodles in Japan, it was far more worth that you should try it yourself too. More Ingredients means you More full you can imagine! Should just try it! More flavors and ingredients! 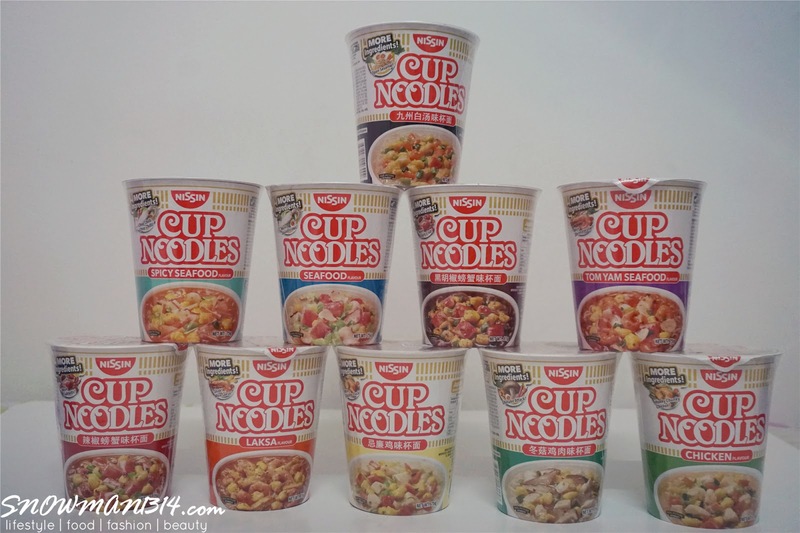 I love cup noodles! I can finish 3 bowls in one sitting ! Haha! Gosh! make me hungry. I would love to have this for 'buka'. Go check it out dear! Congratulations on getting married!! These look delicious. We don't have some of these flavors in the U.S. I'm so jealous, I love these! I do wish the sodium content was lower though. Congrats on your wedding. 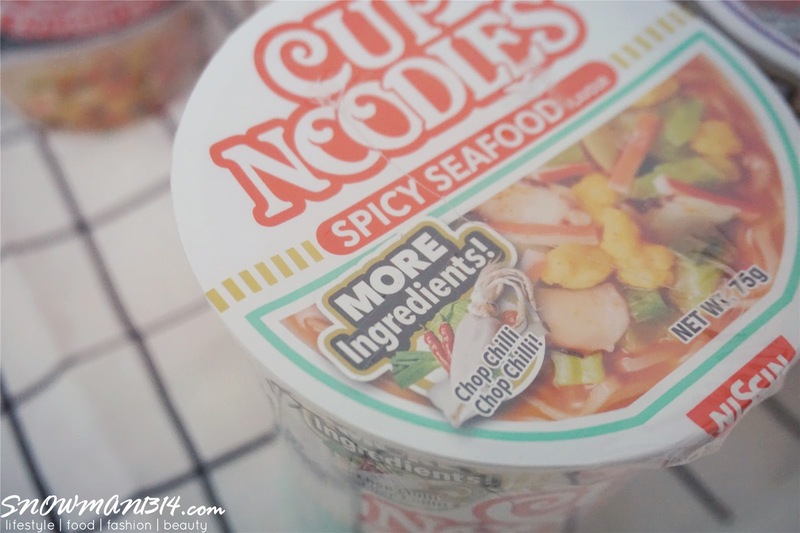 Can you believe that I have never eaten cup noodles before? Never had to. Congratulations to your wedding! 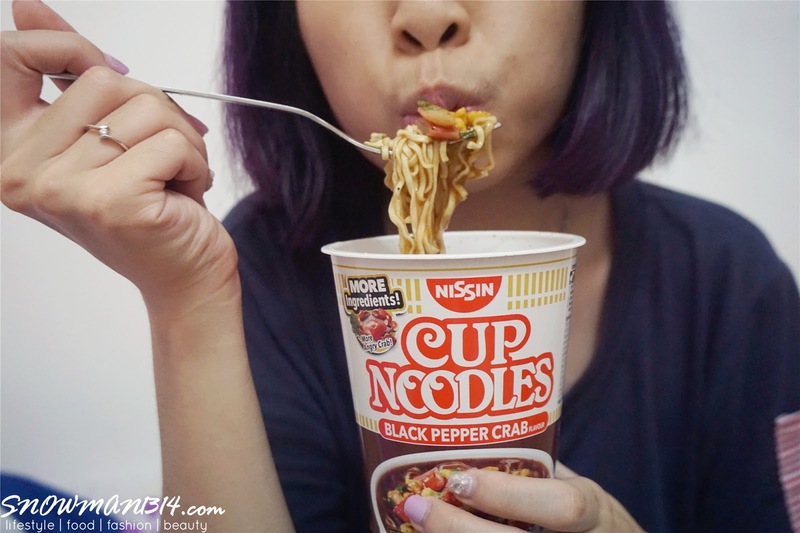 Hey i also love Nissin cup noodles, did you got all the flavours? 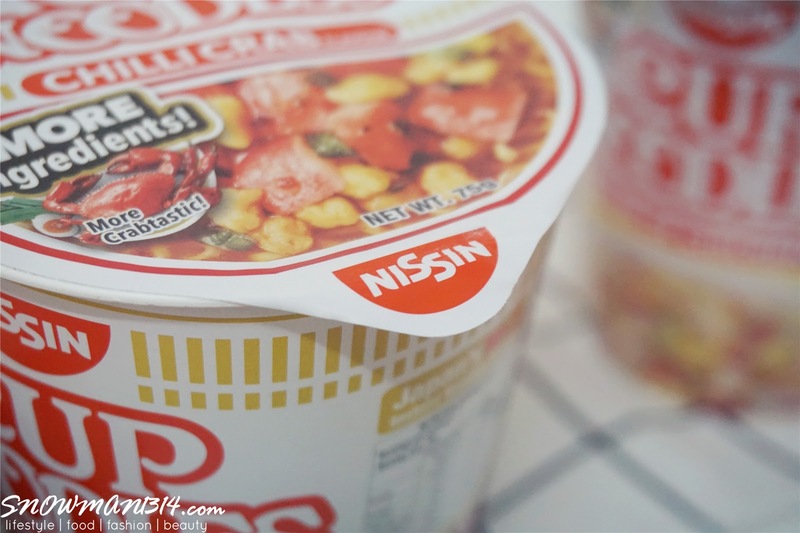 I craving for Japan Nissin noodle. 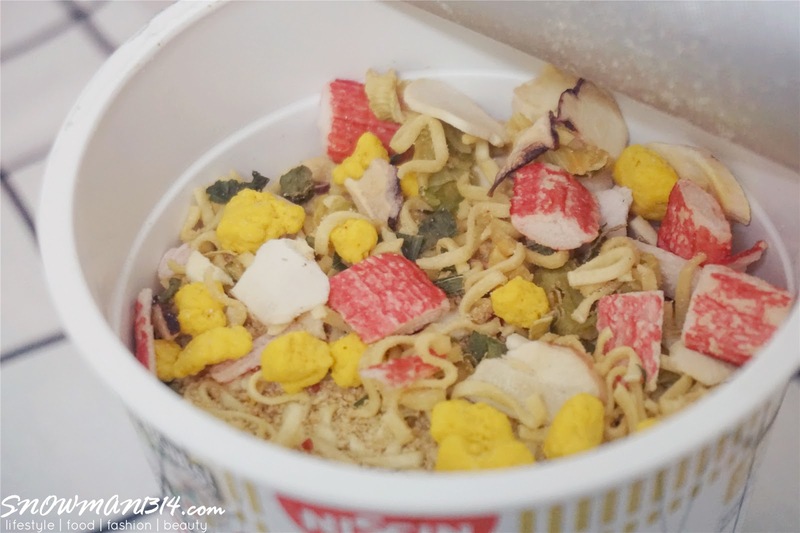 Fall in love with Nissin after try on it. 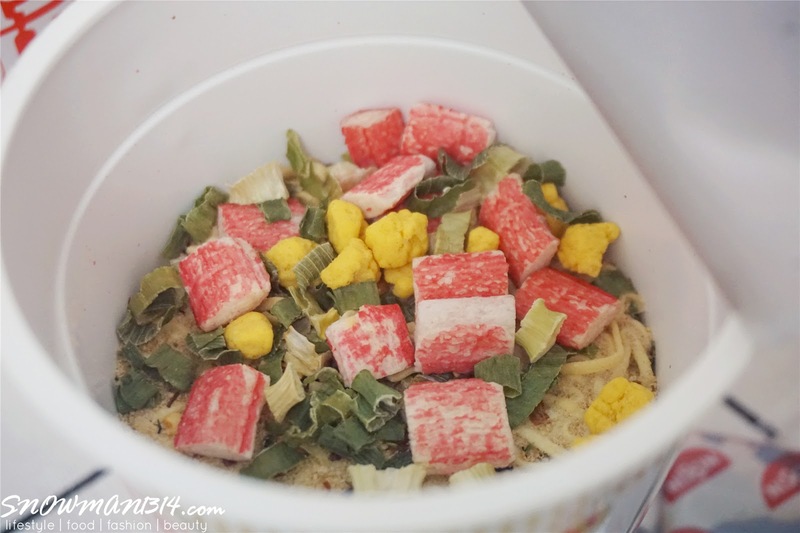 I love the black-pepper crab flavour! It's yummy. Awww! 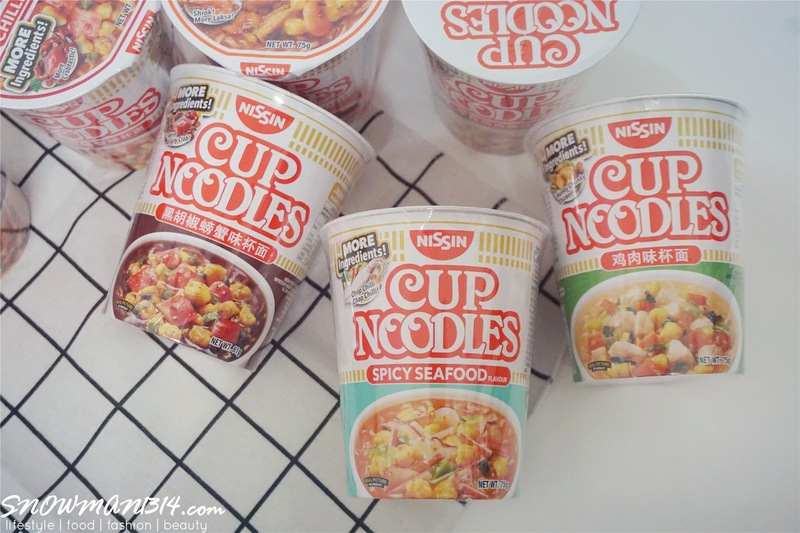 I love nissin cup noodles! This is a staple food during my college days! Lol! Yes I agree! I need to get more of this too! I love it too, usually i stock up some at home. I got more at my home!